This collection celebrates the pride of our American agricultural history with Farmall tractors! With vintage styling, these catalogs and posters are featured in a multi-sized patch panel. 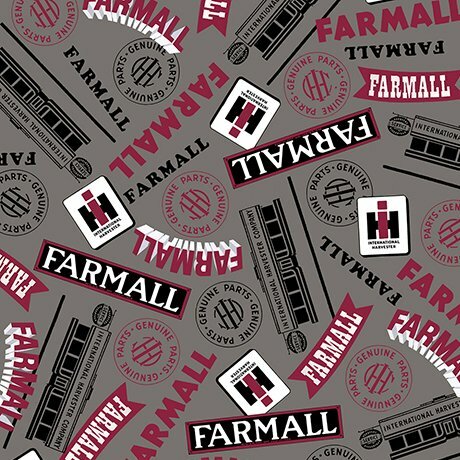 Accented with black, gray and cream colors, the allover tractors and various logos pop with the signature red of the Farmall brand.